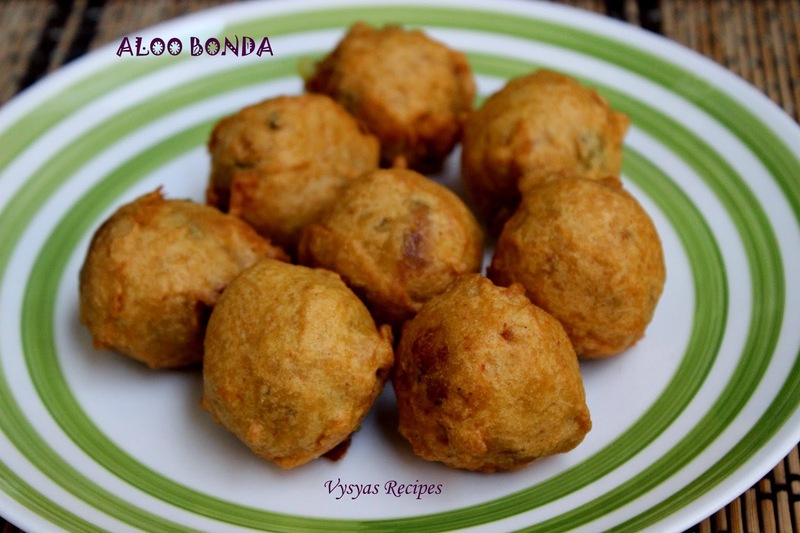 Aloo Bonda is a Popular Indian Snack Made with Potatoes and some spices. Mashed Potato coated in Besan flour and rice flour, when it is deep fried into a Golden colour, and served hot with coconut chutney tastes awesome. When it is sandwitched with Pav, it becomes Vada Pav,which is a popular North Indian snack.My husband asked me to do this bonda for a long time. but only now, i could make it. it came out well.so I wanted to share with you. Ginger (finely chopped) - 1/2 inch. curry leaves(finely chopped) - 2 sprig. coriander leaves(finely chopped) - 2 tbsp. Pressure cook the potatoes for 3 Whistles. Once it cooled down, mash it well with potato masher, then keep it aside. Heat the oil, add mustard seeds when it splutters add urad dal, green chillies,chopped Ginger and then onions. When onions turns transparent, add turmeric powder,salt.stir it once. Then add curry leaves, coriander leaves.saute twice or thrice.Then add mashed potato mix well,till everything combines and switch off the flame. (sauteing potatoes for a longer time makes the stuffing dry). Take a mixing bowl, add Besan flour, Rice flour , hing , Cumin Powder,chilli powder and salt.mix well. Then add water little by little to make a thick batter like idli batter consistency. Coat the Stuffing in batter, till it is well coated.Batter should be thick enough to coat the potato balls. coat evenly. Heat the oil in a kadai, carefully drop the coated potato balls in oil, and deep fry it , till it turns golden shade.cook in medium flame. When it turns golden brown, remove it from oil, and drain it in a kitchen towel. 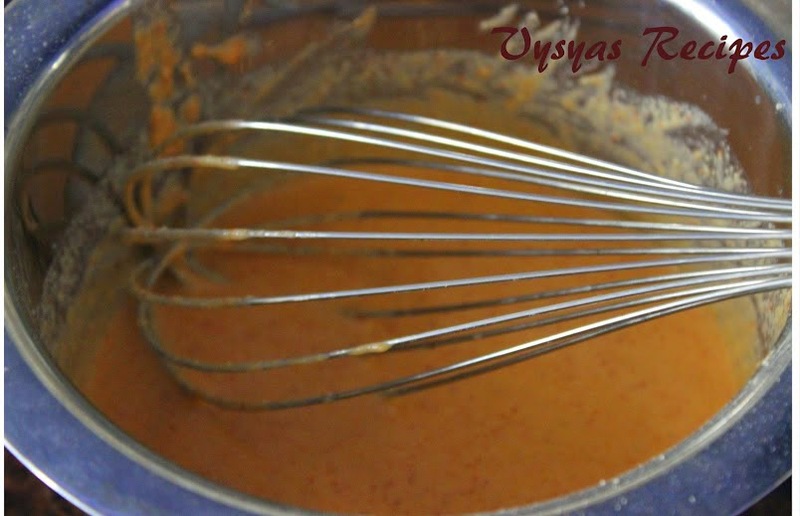 Consistency of the batter, should be thick. so potato balls, will get well coated in it.coat evenly. Adding cumin powder and Ginger enhances the flavour of Bonda's. After adding potatoes,once everything well combined, don't saute for longer time, else stuffing becomes dry. To check the heat of oil,heat the oil in kadai, when it is hot, add 1/2 tsp of batter into hot oil, when it pops up immediately to the surface,it is an indication that oil is hot. 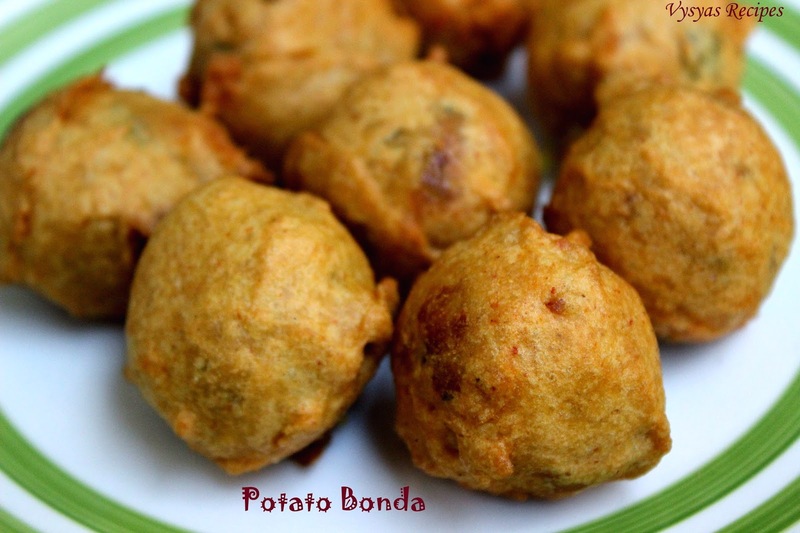 They are tempting Bombay style potato bonda,everybody like in my family. very tempting bondas!! will def try! !